Sterling Silver and 14k Yellow Gold Diamond Cross and Heart Pendant Necklace with Chain 18"
Package&Shipping 1, Inspection : Foundry in-house; Third Party inspection available upon request. 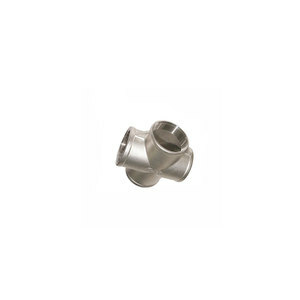 Nonstandard fittings can be made according to the drawings or samples provided by the customers. We are certified by ISO9001:2008 Quality Management System to control our manufacturing process. Secondly,we constantly insist the concept of GREEN PRODUCTION,so our product are eco-friendly. Q3. 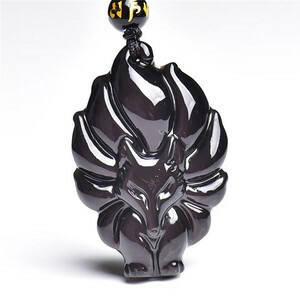 Is it OK to print my logo on jewelry9 A :Yes, please inform us formally before our production and confirm the design firstly based on sample. Q4. How do you ship the goods and how long does it take to arrive9 A: We usually ship by DHL, UPS, FedEx or TNT. 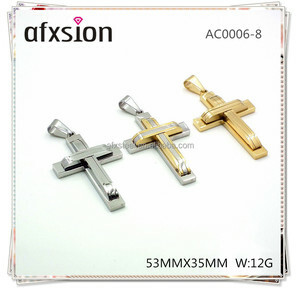 Guangzhou jewelry factory provide cross pendant casting gold jewelry . If you have a question or problem with your order, pls email us . You'll get an answer within 2-3 hours during our normal business hours. 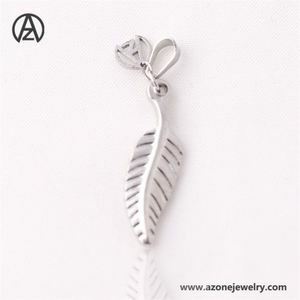 Dongguan Xinrui Jewelry Co., Ltd.
OEM &ODM Welcome to OEM &ODM, and we can engrave or laser your logo on every item. Packing 1. One piece into an OPP bag , 50/100 piece into a big OPP bags . If you have request for package , please contact with us. Hot sells small gold metal jewelry blank cross charms Product Hot sells small gold metal jewelry blank cross charms Material Brass or customized Stone N/A Plated Gold or customized Craft DIY Handmade Logo As the customer request MOQ Can accept the small order quality Shipping terms DHL,UPS,TNT,Fedex,EMS etc or by sea Delivery Usually 20-40 days. 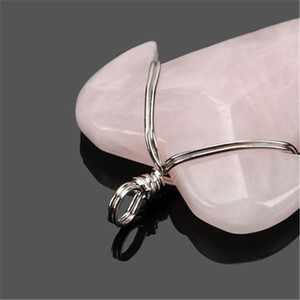 (depend on the order qty) Sample Day 7-10 Days OEM/ODM Welcome Our pendant have a delicate and glittering look. 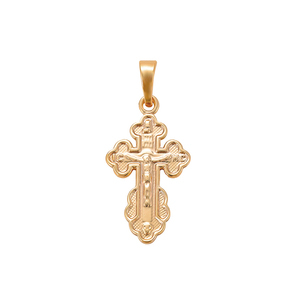 Product Picture Why Choose Lucky Various hot selling cross charm for your choice. 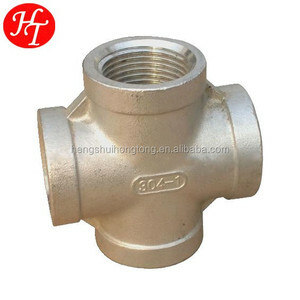 Alibaba.com offers 10,893 providence cross products. 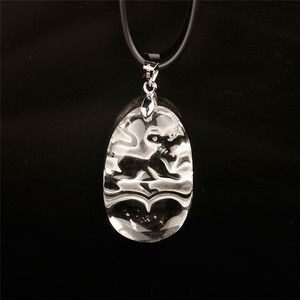 About 6% of these are stainless steel jewelry, 4% are necklaces, and 3% are pendants & charms. 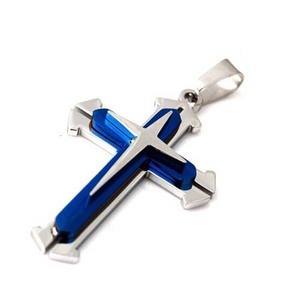 A wide variety of providence cross options are available to you, such as metal, wood, and stainless steel. You can also choose from free samples, paid samples. There are 10,995 providence cross suppliers, mainly located in Asia. The top supplying countries are China (Mainland), Pakistan, and Taiwan, which supply 95%, 2%, and 1% of providence cross respectively. 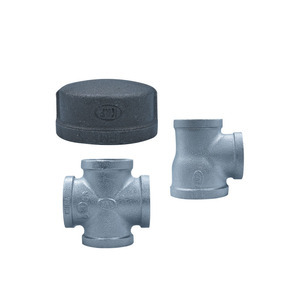 Providence cross products are most popular in North America, Western Europe, and Domestic Market. You can ensure product safety by selecting from certified suppliers, including 2,717 with ISO9001, 1,329 with Other, and 278 with ISO14001 certification.